you why; Most are illegally here so cannot get the usual High-street jobs, they cannot see a GP because they cannot register with one, and they certainly cannot claim any welfare benefits including Housing and Council tax benefits. However, European migrants can claim everything under the sun! I already decided I would vote UKIP in the European elections, but I will not be voting them for Mayor or for Councillor because against Lutfur or Labour because EU policies are not directed by Tower Hamlets Council. However I would encourage Tory voters to vote UKIP as their alternative and see the likes of Cllr. Peter Golds kicked out! You seem very excited at the prospect of UKIP encouraging a higher turnout, hence a second preference vote for John Biggs, i.e. get Lutfur Out Vote? I believe this would be suicidal for UKIP and certainly do not expect to see their second preference vote going to anyone of the other major political parties. UKIP’s strength is against the immigration policies of both Labour and Tories. Why the hell would they then want to also vote them in? I would be very angry and disenfranchised with UKIP in future elections if this May’s election proves they are just as bad as Labour or Tories. So I urge UKIP voters. and everyone concerned with the influx of EU nationals, uncontrolled immigration at our expense to please VOTE UKIP for the EU elections, and not to give any second preference to anyone else, otherwise why should I vote UKIP? There wasn’t a hint of your new found xenophobia then. Nor any hint of Ukip sympathies. That and the sound of your written a English kinda makes me think you’re trying to pretend to be someone you’re not. Someone from Lutfur’s gang hoping that UKIP will split the Tory vote on the island and let them squeak in perhaps? That’s a rant – made by someone who never understood English (or British) history at school. England’s never been a pure one-race country. Blame the Taffies who are supposed to be the real Brits. The Jocks and the Paddies are an integral part of the scene. We got invaded by the Italians (Romans), Norwegians, Danes, Germans, French and we had a Dutch King & Queen. Immigration went mad when we were flooded by millions from the Indian sub-continent after 1947. Its not race, religion or nationality (and the Poles are generally well educated although there is a medical argument that certain parts of their doctors training starts later than ours). The problem is England is full-up. The optimum population is 30 million. The vast majority of new immigrants just want to work and earn some money. Immigrants, refugees, asylum seekers and displaced persons are a fact of life in many countries around the globe. If the Russians start attacking there will be a flood of some of the 48 million Ukrainians out of their own country. Just think of the horrors in Syria, Burma, Indonesia and parts of Africa too. No wonder sane people want to escape and have a better life for themselves and for their children. Over-population and corruption are the two biggest problems in today’s world followed by serious climate change, drought and food shortages. UKIP ain’t going to solve any of the problems. We belong in the EU. Its our Right to be EU citizens. If you don’t like living in Europe then move to another continent. I’m sure Putin would welcome people like you. Assimilation and Anglicisation are temporary good solutions. Shutting the gates to everyone seems a good idea but will other countries throw-out the Brits from Australia, Spain, USA etc. ? Quid pro quo ??? England is a declining nation that primarily depends on money-laundering and tax avoidance to attract some of the world’s hot money. Singapore, Shanghai and other places will overtake the City of London. Never ever heard UKIP mention anything about these issues. Taking Britain away from the EU, while Scotland is desperate to join, just makes a mockery of this country’s future. Did you try to register with a GP in Frinton instead? I wouldn’t be surprised if the ukip bloke lost his deposit. There simply isn’t a call for them. I know Tower Hamlets is a bit of a bubble Dan but surely national opinion polls can’t fully pass the borough by. He won’t because people are fed up. How can Current mayor keep a straight face when he actually spends money – our money- on mother tongue language classes whilst preaching inclusivity? Integration not segregation will be UKIPs campaign message in tower hamlets and it will strike a chord. Maybe losing a deposit is an exaggeration, but there is no room at the inn. Ukip are a Tory breakaway. They feel comfortable wearing blazers on the village green. This image just doesn’t work with the working class. Nor does their little England image appeal to the cosmopolitan bankers. No class of people have more knowledge about “abroad” than bankers. It’s their business. Ukip appeal to the racist vote, as evidenced by Nigel’s recent rants. The racist vote has a small appeal in LBTH, but never as large as in a white working class area with no immigrants, but lots of fears of the doors about to be knocked down by them. As for eastern Europeans, they do live here but there isn’t any resentment to them here, at least not enough to create votes for Ukip. Some say that they are acceptable because they are white, so even the racist vote tolerates them here. Who exactly do you expect to vote for this guy? There’s not a lot of people left. Just a prejudice Dan. Where does this information come from? The Press? Go to any UKIP branch meeting in London and you will see a largely working class and lower-middle class demographic. I am ex-Tory but I am an atypical Ukipper. I am the only person who wears a tie. Not necessarily racist to want immigration controls. The BNP woman I met recently when I was delivering leaflets was not interested in voting for me. Everyone who is p****** off with the establishment parties. If you all look at the facts – the psephological data- UKIP membership draws more from labour working class than Tories – fact – ICM poll. Check mail today. The reality is the Labour Party has turned it’s back on the British working class. I call labour the BDP – benefits dependency party. Harsh but their strategy seems to be to keep their traditional voter dependent on a state benefit system that positively rewards economic inactivity – simply put to you and I living in the East end – sitting on our hands rather than using our hands. UKIP is keen to lift the lid off tower hamlets largesse. Whether lufthar or Labour we know one thing – very very very generous with OPM – other people’s money. You might also like to check out a certain Mr Mohammed kowaj Ali Khan who appeared at the agent’s meeting on Friday night . . . . He claims to be the candidate for the mosques. @Andrew McNeullis, When you talk about politicians being generous with other people’s money, are you referring to Nigel not turning up to vote in hardly any debates in the EU chamber? Because we pay him to do that? It’s in his job description. Is that what you mean? Does it occur to anybody that by having UKIP (love or loathe them) entering the election might, possibly, generate some interest from the hugely disillusioned voters in Tower Hamlets? I say bring in all the fringe parties and generate some interest, maybe they will stop the rot! JW I think it will just divide the non-Rahman vote unfortunately. I’d prefer a two horse race in this instance. I don’t want to end up with statues of Mayor Rahman at all major intersections and all roads bordering the borough. I don’t think that Conservative, Lib Dem, UKIP or Green candidates will divide the anti-Rahman vote. On the contrary, strong candidates will increase turnout, and help to prevent Lutfur achieving 50% of the 1st preference votes. Another important factor is that supporters of any of these parties must cast their 2nd preference for Biggs. There is quite a high level support for this idea, but opposition parties are unlikely to openly state such advice in their election literature thus limiting the effectiveness of the anti-Lutfur campaign. On another matter, Imran’s post about the electoral arithmetic was interesting. However, I think he has greatly overstated the likely differential turnout amongst Bangladeshi and white voters. I also believe that he has overstated the support for Lutfur amongst the Bangladehi community. Instead assume 70% Bangladeshi turnout with 60% voting Lutfur, 20% Biggs; and a 40% white British turnout; all other figures unchanged. Then Biggs wins quite easily (I make it 57% of the vote). First it was thinking Cameron’s going to win a majority in 2015, now its thinking Biggs will become Mayor. Does anyone have any idea what planet these tories are on? The extent of the Bangladeshi support for Rahman is indeed being overestimated. Many, especially younger, Bangladeshis are extremely embarrassed by what are seen nationally to their typical leaders. Also, Rahman hasn’t been able to deliver the economic benefits he promised his financial backers. Still two months to go and this is going to be an interesting election. This is a breath of fresh air to see a real Eastender run for the post of Mayor. Someone who wants to make a positive impact and change to the lives of residents of Tower Hamlets. I personally know Mr McQueen and people should keep a ‘VERY OPEN MIND’ about how well he may do in the next election and before casting any judgements and be open and objective to change. He is a ‘man of the people’ and if you want to see real change vote Nicholas McQueen. Just got back from a photoshoot and telephone interview with Nick by the Evening Standard. Look out for next edition which will hopefully have the wonderful pics of him and his non-white wife. Yes – you read that correctly. Check out tomorrow’s edition of The Wharf – a full-pager on Nick. Look at his radical policy on the decriminalisation of drugs to solve the heroin problem in the borough. Meanwhile the Tory candidate is speaking about pot holes and dog turds . . .
Why is it funny? It looks as if he is running a libertarian campaign, is clearly a talented individual and if he is married to a non white woman will be challenging the stereotypical view of UKIP. All of a sudden this campaign has become very serious. I understand that Panorama is filming at the moment for something in the next couple of weeks. You might even see international coverage of this election as so many issues are involved. The relations with Europe, the political clout wielded by concentrations of Muslims in inner city Europe, municipal corruption on the scale of Lagos or Lahore and the malign influence of one of the most powerful mosques in the world outside of Saudi Arabia. You realise that this is a borough which exists essentially because of public funding? In what world would it support libertarian (and presumably small state) views? And why the obsession with the non-white wife? Good for him for not being a racist? I’d sort of hoped he wasn’t given he is running in a largely ethnic minority area. Any what does “non-white” even mean? That is most of the world. The reason for my reference to his wife should have been obvious: our opponents cannot play the racism card against him as they so love to do with UKIP. They may actually have to debate us this time. mwebberukip Will Ukip be standing candidates in every ward? Do you guys even have that many candidates? You will need to wait and see. Since the UKIP tower hamlets was founded – membership applications have been surprising – in a ” we are smiling” kind of way. We will be standing where people want us to and where our members can do. I don’t share the enthusiasm of many here about Ukip entering the race. It will most certainly further split the already divided ‘white British’ vote. The problem is compounded by a traditionally low turnout of this group. The estimate of 40% turnout is very optimistic I think. I actually do not believe people are overestimating Bengali support for Lutfur. To say he will get only 60% of their vote means 40% will vote for a non Bengali candidate when one of their own is standing. Don’t think this could possibly happen. Lutfur is not ‘mayor’ Lutfur to the Bengalis, he is Lutfur ‘bhai’. Support for him in the community is strong and unified. And in the absence of a Bengali candidate in the other mainstream parties, there is a very real chance he will get enough first choice votes from the Bengalis to take him past the line. Therefore second choice vote from for Biggs may not be relevant at all. Perhaps Biggs knows this hence why he is not giving up his London Assembly seat. I’ve just read that Panorama are investigating our rotten borough… I am so excited I can hardly sleep. Couple of things in the Docklands and East London Advertiser. COUNCILLOR GAGGED FOR ‘ BLACKSHIRTS’ JIBE. A verbal attack on a grieving former Tower Hamlets mayor; comparing her to Oswald Mosely’s fascist Blackshirts, resulted in a senior councillor being silenced midway through presenting the council’s budget. Cllr Alibor Choudhury, the cabinet member for resources was gagged was gaged by the council after his public outburst against Cllr Ann Jackson when his colleagues voted that he “be not be further heard” in the meeting. Cllr Jackson, who represents Bow West, was wearing black in mourning for her ex-husband who was buried the previous day. Cllr Choudhury said he had no idea about Cllr Jackson’s bereavement and is ” mortified” to .have upset her. Labour has submitted a formal complaint to the council to investigate whether Cllr Choudhury breached its code of conduct. Cllr Jackson who served as mayor in 2007 said that she was “feeling rubbish” on the day of the meeting, having been in mourning with her two adult children, whose father recently died of prostate cancer aged 57. She said: ” I was astonished. I made an effort to attend a crucial budget meeting a day after a family funeral, only to be subjected to this baseless and abhorrent abuse”. She added: ” What really concerns me is Cllr Choudhury’s willingness to say anything to smear an opponent, no matter how false or hurtful it might be”. Cllr Choudhury said: ” The council chamber is a combative environment. I had no idea about Ann’s bereavement and I’m mortified to have offended her at such a difficult time. However; what was an ill-advised remark on my part should not distract from the serious matters discussed at the meeting”. So there you have it. I’ll have breakfast, attend to some business and put up the editorial which is even less complimentary. Might the fact that they’re begging for people to stand as candidates might somewhat indicate a lack of capability to get the vote out? Labour and the Lutfur people already have big well oiled machines doing this and the Tories to a lesser extent (but they will only target certain wards). And as for the Lib Dems – are they even bothering any more? “The turnout for the mayoral and council vote on May 22 will be bolstered by the European Parliament elections the same day.” Err .. no it won’t. 2010 was a record turnout for the local elections because we had the parliamentary elections on the same day (which won’t happen again until 2030). This year the turnout for the Euros will be bolstered by the fact that polling day for the locals has been moved which probably damages UKIP more than anyone – not the other way round. You make an improtant point about second preferences. I think Biggs will win on first preferences (but I would, wouldn’t I – he should have been Labour’s candidate in 2010) but I also very much doubt that anyone who gives their first preference to UKIP or the Tories, would consider giving their second preference to Lutfur! How many votes did lutfur get last time? It would be exceptional for an incumbent to increase their vote, especially with a string of broken promises floating about. Graham. “Begging?” Hardly. Appealing for people to join the fastest growing political party in Britain. Fact. UKIP just opened in tower hamlets – fact. People now know – candidates willingly joining and standing – fact. Keep kidding yourself mate. It’s Tower Hamlets, not some rundown seaside town where they’re scared of foreign accents. 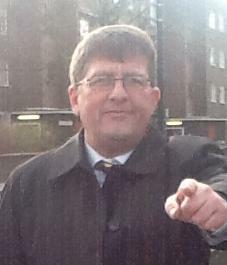 Last time UKIP stood – 2010 Poplar and Limehouse General Election you got 565 people to vote for you. Good luck trying to find 30 to sign the nomination papers. Look there goes a mainstream party member slagging off the now third party in British politics. The working class abandoned and betrayed by the Labour party now form a vast bulk of the new support for UKIP, not balding old men who used to vote tory. I hope UKIP smash the two party system and do great damage to the old and tired labour and tory parties. The budget meeting video is now online. It is a total disgrace, FROM ALL PARTIES!!! Shame on them. Weird happenings on Glamis Estate. Outside every property an envelope was left containing “Confirmation of Residence” letters. Anyone could pick them up and add names and post them in the envelope very kindly provided. What happened to data protection? Or is it deliberate???? John, could you send me a copy of one of these letters? Where can it be seen John? OK, who was claiming that UKIP cannot find enough candidates? At tonight’s branch meeting five new people agreed to stand. That brings the total to 13. Only another seven needed until we achieve our target of one per ward. I appreciate this is all a bit new to you, but you do realise, don’t you, that most wards are three member seats (with two one member ones and a few two members ones)? If you’re only standing one candidate per ward, then clearly you can’t find enough candidates. Labour have selected a candidate for every seat; I fully expect the Tories will as well; I expect Lutfur’s lot will run (on a joint ticket with Respect) selectively in the wards with a higher density of voters of Bangladeshi heritage, and as mentioned before I think the Lib Dems have given up. I imagine the tree-huggers will stick up a handful; and the fascists one or two. Yes I know all of that. But given that we only formed the branch ten weeks ago and have no history in the area we have to set a realistic target. If we can get twenty candidates, plus our high-profile mayoral candidate (see tonight’s Evening Standard), then we will have done remarkably well. I am not sure it makes sense to stand three candidates in a ward when we have no existing councillors in the borough. Mr McQueen had a full page in today’s Wharf and also the online edition of the Daily Express. Not sure when the Evening Standard will publish, hopefully tomorrow. In today’s other news the Conservative candidate is still very concerned about your potholes. If there is any tory who genuinely believes that a vote for Cameron will mean a referendum on membership of the EU then they need to take a long hard look in the mirror because Cameron has lied and lied and lied to his own party and the country on this issue time and time again. I hope that Etonian upper class toff is sent packing in 2015. If John Biggs wants to gain votes he must state his position on council rents.There are numerous angry voters across the boroughs estates. Despite proclaiming to be the champion of the poor and lower paid, Rahman has imposed high rent increases every year of his office.Guess what,not one mention in the Est End Life of these impending rent rises or service charges.in all that time.The Mayor must have some editorial control!All tenants have now been notified of rent and service charge increases of nearly seven pounds per week. There is widespread anger,not only at the extra charges but the waste of money spent on Tower Hamlets Homes.Grossly overstaffed,money wasted on needless procurement deals,new logos, endless meetings and vanity projects. But the biggest insult is the hundreds of caretakers employed to do nothing all day.Despite numerous managers and supervisors these staff come and go as they please.Spend most of the day in the base office,enjoy two or more hour lunches at our expense before departing for home mid afternoon. Everyone knows moonlighting is rife but senior management,oh yes there is plenty of those do not care,This organisation is costing millions.Despite the council transferring nearly two thirds of it housing stock to other social landlords TTH now employs nearly fifty per cent extra staff than when the council were in full control of the entire stock. To Labour’s shame not one councillor or MP has condemned these increases,the silence is deafening.So Mr Biggs what is your position on the matter.Will you, if elected implement a rent freeze and abolish TTH.I can assure him,there is a great number of angry people ready to vote for him if he does.So come on Mr Biggs and expose Rahman hypocrisy on helping the poor and needy once and for all.By the way has anyone ever emailed Rahman and actually received a reply.How many people does he employ to man these computers,just to treat residents with contempt.